Self parking with over 180 parking spaces. Thursday, Friday and Saturday from 9PM to 1AM live music at the bar. For your special occasions or business functions, reserve the Hat's room, the private dining room seating up to 16 guests. Truffles will create a menu to fit your needs & budget. “This is a top-tier eatery. The kitchen is reinvigorated and inventive…” STL Magazine, 5/2011. 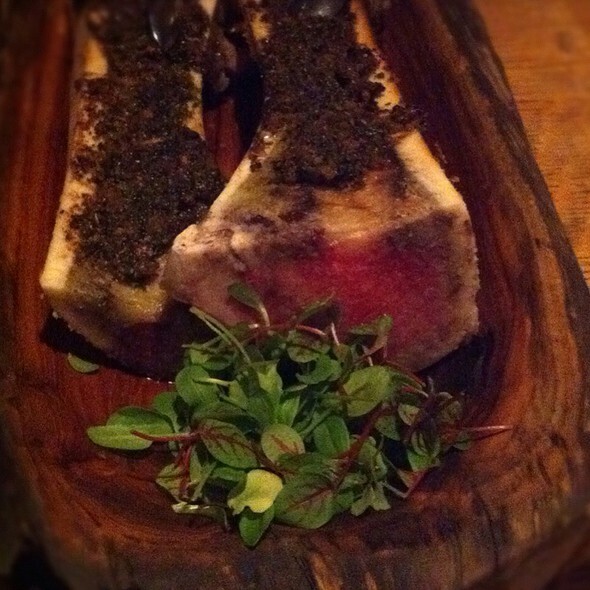 Truffles strives to produce a menu that easily fuses rustic and contemporary American cooking. With simplicity and seasonality as our guide, house-made specialties such as pasta and salumi are prepared fresh every day and are complemented by choice selections of locally sourced and raised meats, seafood and inventive sides. The Truffles menu begins in the fields, rivers and farms of the Midwest and our award-winning wine list features wines from every corner of the earth. We bring the best flavors of the season direct to your plate. Appetizers were varied and very good - wine list is extensive and they offer half bottles! Entrees were well-prepared - cookie for dessert was to die for. Service was exceptional - attentive but not hovering. Noise level was moderate - it was a Sunday night so not overly busy/crowded. We enjoyed our visit and will likely return. 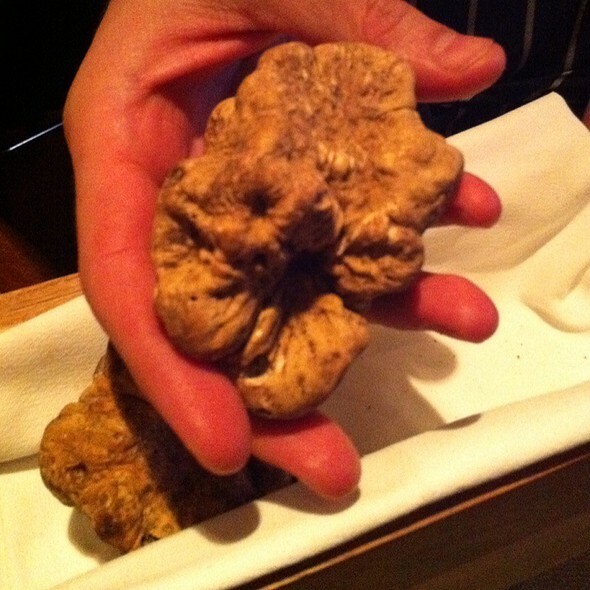 We love Truffles! The food is absolutely wonderful. Wonderful establishment to visit over again. The table we sat had another table about 12 inches away so it felt like we were having a nite together with them. Might want to have a little more separated tables for couples but this wont stop us from coming back because the service and food were all perfect. Terrific food and cocktails. Very friendly service. Overall a great dining experience! We took the kids and my daughter had a burger and she loved it. My wife had the salmon and she said it was really good. My son and I had steaks that were delicious! 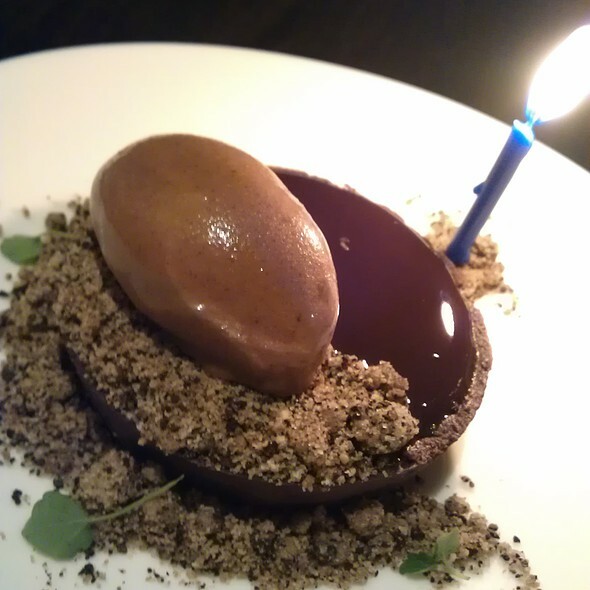 Truffle is consistently providing great service and great food. friendly and thoughtful service, delicious food, wonderful dining room where you can maintain a table conversation easily. Our go to restaurant! Always enjoy meals here! The food is excellent and the service! The food was very good and the server was very good! We told him it was our anniversary so he gave us complimentary glasses of champagne and a free dessert. We appreciated the extra nice touches. A great experience. A nice local surprise of a restaurant that we tried due to a coworker recommendation. We took customers who are good friends who also truly enjoyed the evening as well. We had josh as our waiter and he was over the top meeting all of our needs and always concerned that everything we ate and drank met our expectations-he was a delight! Food was amazing and we never felt rushed, took our time and enjoyed the evening. This was our fourth time for dinner. Exellent. We love the food, you cannot go wrong with anything on the menu. This time I tried the special of the brisket. As always, it was just as amazing as everything else we have had. The service is always top notch and friendly. 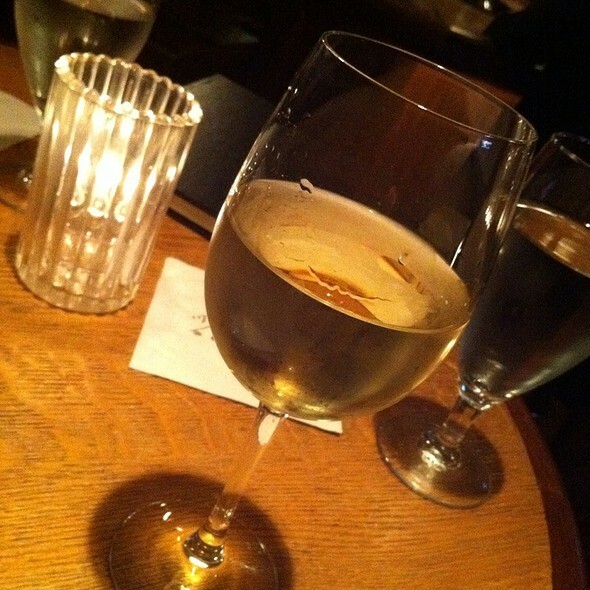 The wine expert guided us to just the right wine to our request. We love this place! Food was amazing on Friday night................................................................. Last review I’ll write for open table based on app experience. The steaks were delicious and perfectly cooked. The Bananas Foster dessert was amazing. This is not a place to go weekly unless you have a lot of discretionary income as some of the entrees are $50+...but great for a special occasion! 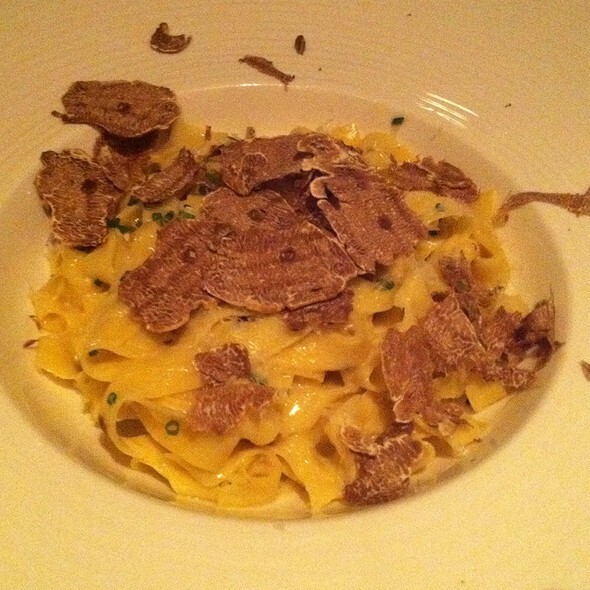 Truffles is absolutely a fantastic dinning experience. You will never be disappointed! Do yourself and reserve a table today, your pallet depends on it! I go to Truffles every few months. I must say there is always a tremendous value for a really great wine. On our last occasion, we enjoyed a 2006 Dom Perignon. The cost was roughly retail price! The food is always amazing. I recommend this place to all my friends. Awesome service , very intuitive . Food was excellent . Will definitely return. We went to this restaurant for a Valentine’s Day celebration. Unfortunately, we did not get to try the menu but what was offered was a limited selection just for that evening. The food, however, was excellent and so was the service. The restaurant’s bar had a very loud live music which would fit much better at a Florida beach bar than at a midwestern high end restaurant. Good overall. Great food, smaller portions which I prefer. Surprised that at this price point only the tables for two had linen. Valentines Day dinner. The restaurant had a prefix menu. First of all the food was outstanding. The service on the other hand... we were seated right away, first time the waiter came to the table it felt like we had to order right away. Bottle of wine we ordered did not come until we were already done with appetizers, everything felt rushed, did not even get a chance to ask for coffee with desert and in fact desert plate was pulled before it was done with. In and out in under 40 minutes. I realize restaurants shoot for volume on days like this, but for a $300 meal for two I expect and get more. Great food that was overpriced for us valentine soft hearts trying to impress our valentines. The everyday menu would have been preferred. Champagne also overpriced. It was our tradition to go to Truffles on Valentine’s Day but we will rethink in future if given a captive overpriced menu. 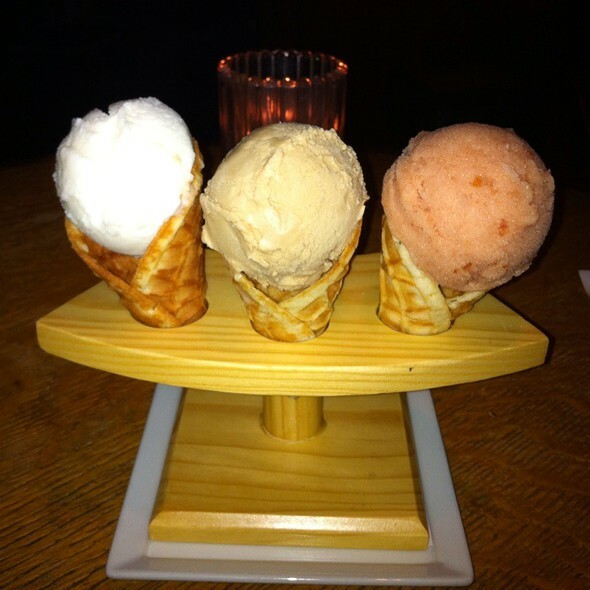 Tao provides excellent service and all the food was excellent. 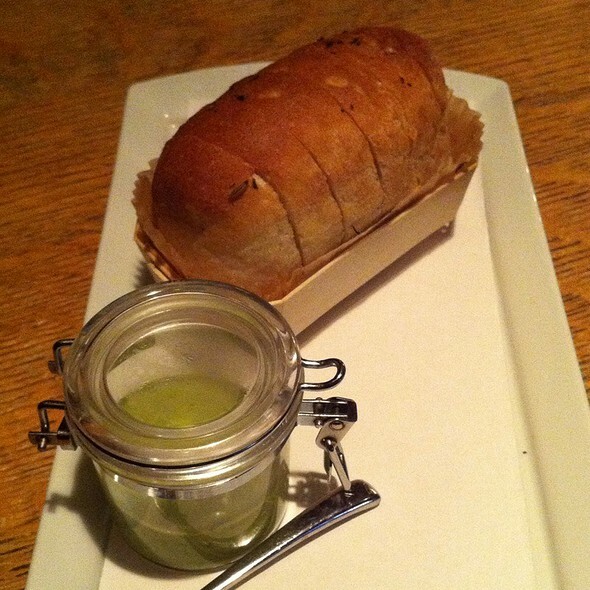 Appreciated the appetizer complements of the chef. It was my boyfriends birthday, and they made us feel soooo special!!! We had a blast! We can’t wait to go back! The food was AMAZING!!! Fabulous time my only disappointment was I wish they had more space between tables, very close I could hear the whole conversation at the other table. Great food. Great service. Corkage fees unreasonable! This place is wonderful!! My fiancee and I had a great first experience for his birthday!! We will definitely be coming back!! Thank you!! Consistently great. Can't beat the duck or the hangar steak. Attentive, friendly service. As always, our dining experience at Truffle's was outstanding. Yao was terrific and food was delicious. The food and wine are always great. The beef is is spectacular as well as Cajun entree’s like Gumbo. 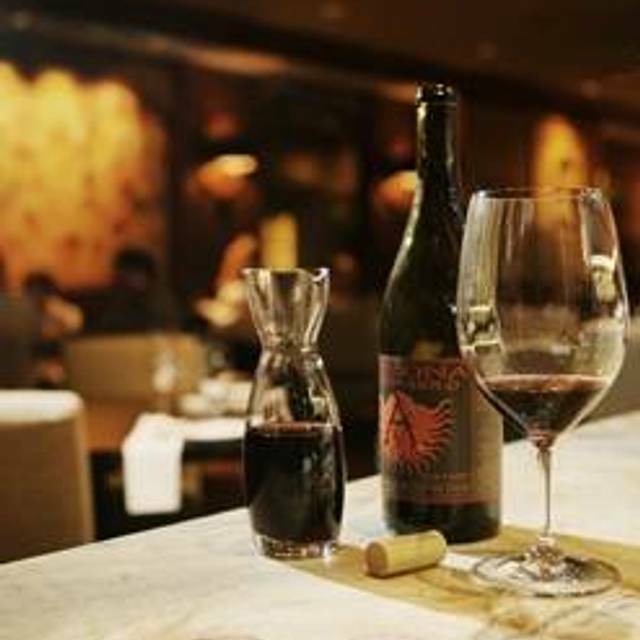 They have an extensive wine list but also wonderful offerings by the glass. Banana’s Foster for dessert was a special treat. Yum! We thoroughly enjoyed our evening. My husband and I had dinner at Truffles on NYE. This was our first time at this restaurant. The service was great. Our server was fun and considerate. We both had the filet and it was AMAZING. Truffles was very good. The trout was excellent and the salmon was good. My son had to send his steak back because it was under cooked. The service was excellent as well. 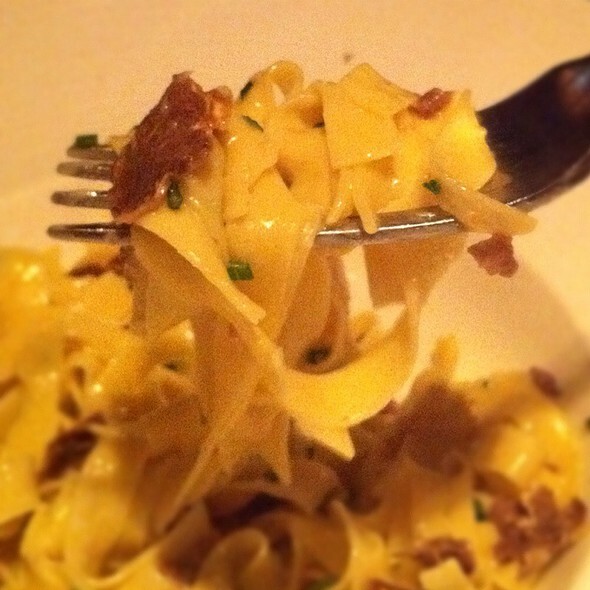 It has been over a year since we last dined at Truffles and we are glad we returned. We previously dined there 2-3 times a year. Very busy on Xmas Eve night, mainly with large family tables. Three in our group had the house salad, which is the right size for splitting if you have the right number of people. So two had the right amount and one had half a salad left over. This is closer to an entree sized salad. I had the gumbo for a starter, which was not too spicy, full of shredded pork and excellent. This was not a seafood gumbo. Three of us had the duck for dinner, which has been my favorite dish there for years. It is cooked to perfection, juicy and with crispy skin. My wife had the tuna pad thai. Sound strange? It wasn't. It was also excellent with rare tuna on top of traditional paid thai. Dessert was not so great. The baked Alaska has a thin layer of meringue over some nondescript ice cream with a small oreo cookie bottom. Didn't even finish it. Two had the bananas foster, which was not prepared tableside and was just ok.
Service was not up the level of food. Dishes got served to the wrong people two of three times (entrees and desserts). That happens at Denny's. That should not happen in a restaurant like this. We bought a bottle of wine and brought a bottle. The server was not trained about pouring wine and filled the glasses too full each time (should not go through nearly the entire bottle on the first pour). The food is still up to the same standards but service has fallen since we last visited. We will return for the food and hope that management improves the service. Great food. Best duck I ever had. Server was knowledgeable and gave just the right amount of space for decisions etc. Best wine list in St Louis. Delicious and approachable food. Great service and atmosphere. Always a good time. Wonderful service and good food. Excellent atmosphere and great location. Everyone was so friendly.